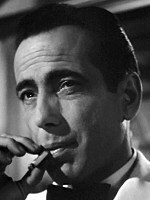 Even if you haven't seen "Casablanca", trust us, you've seen "Casablanca". Every shot of the film echoes with familiarity. The sets, the looks, the quotes: they've been repeated, parodied, revered for the past 60 years. It's "Casablanca". One of the most iconic films ever made. But we're not here to give more accolades to this incredibly acclaimed film. We're here to — what else! — find its Jews. And Jews it has. The Oscar-winning screenwriting trio of twins Julius and Philip Epstein, as well as Howard Koch (the level of Koch's contribution is up for debate, but he is Jewish, he got the Oscar, so who are we to argue). 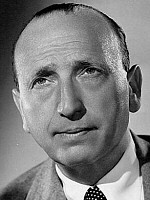 Director Michael Curtiz, a Hungarian Jew with close to 200 titles to his name (and the Academy Award for this one). Composer Max Steiner, who, although not awarded here, got three Oscars elsewhere. 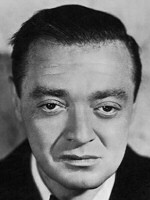 The actors: Peter Lorre, who played the sleazy Signor Ugarte. And — yes, we're finally getting to it! 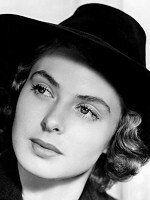 — Ingrid Bergman, in a memorable, mesmerizing performance as Ilsa Lund. 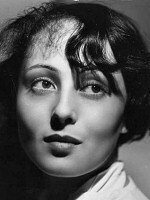 Now, Ingrid's Jewishness is not an open-and-shut case, but supposedly her aunt revealed that her mother had some Jewish blood. And who are we to argue with wise old aunts? 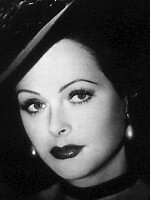 So there you have it, yet another reason to watch "Casablanca". And if you haven't seen it... What are you waiting for?